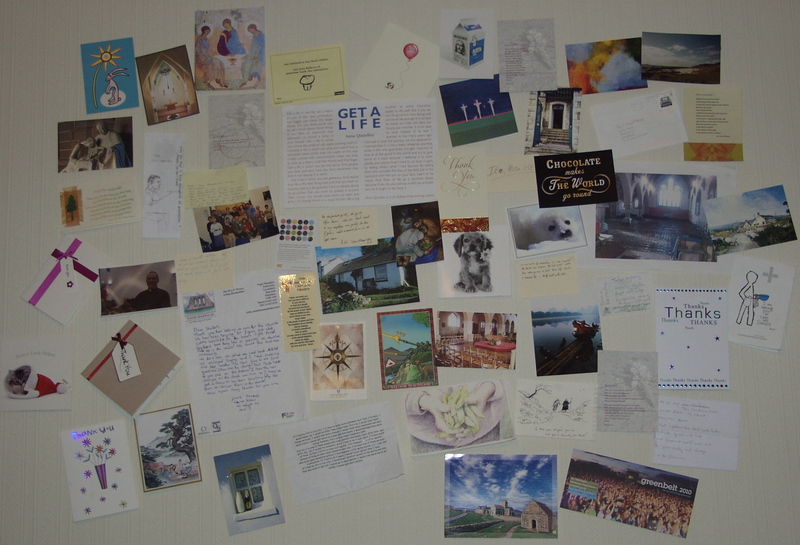 This wall of cards, clippings and comments goes back a few years. Soon you’ll be able to click on a part of the image to zoom in and find out more. Updated regularly when new cards and bits are added so check back often..